Join us Saturday, May 11, 2019 at Duncan Park for Meeting Street Academy Spartanburg’s (MSAS) Chase the Maverick 5k. The event will include prizes, local vendors, music, and more! 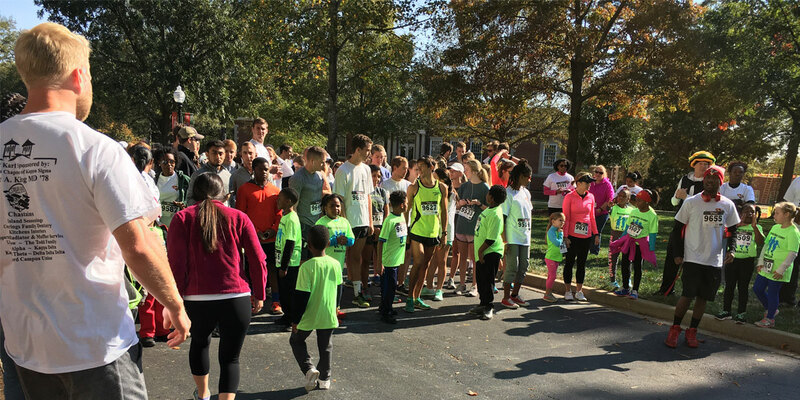 The 5k race will begin at 9:00 a.m. followed by the Kids’ Fun Run at 9:15 a.m. Funds received from the race will go toward student wellness and running club at MSAS. This event is open to the community. We welcome anyone who loves Spartanburg to come and join our students, families, teachers, and partners as we race together. In order to keep entry fees for our students & families low and to ensure that every student participant receives a custom finish medal, the MSAS team has created various sponsorship opportunities. This race will be open to the entire Spartanburg and surrounding community and will be a wonderful way for our MSAS family to continue to grow their community presence and support. Please contact Siobhan Ragan at SERagan@spart7.org or (854) 253-1800 if you are interested. Your company name will appear on a sign at the 1 mile line and on our social media/website. Your name will appear on a sign at the 1 & 2 mile lines, on the back of race day t-shirts and on our flyers and our social media/website. Your name will appear on a sign at the 1, 2 & 3 mile lines, on our race day t-shirts, on any event flyers, and our social media/website. You will also be able to set up a table/tent at the race. Thank you for supporting our scholars in all aspects of their lives!